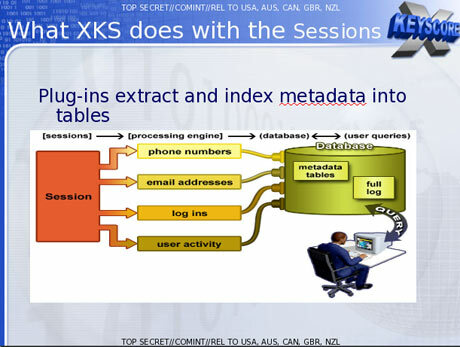 XKeyscore, the documents boast, is the NSA's "widest reaching" system developing intelligence from computer networks – what the agency calls Digital Network Intelligence (DNI). One presentation claims the program covers "nearly everything a typical user does on the internet", including the content of emails, websites visited and searches, as well as their metadata. To drill down means to move from summary information to detailed data by focusing in on something. In a GUI-environment, "drilling-down" may involve clicking on some representation in order to reveal more detail. To drill down through a series of folders, for example, on a desktop means to move through the hierarchy of folders (from the top downwards) to find a specific file or to click through drop-down menus in a GUI. 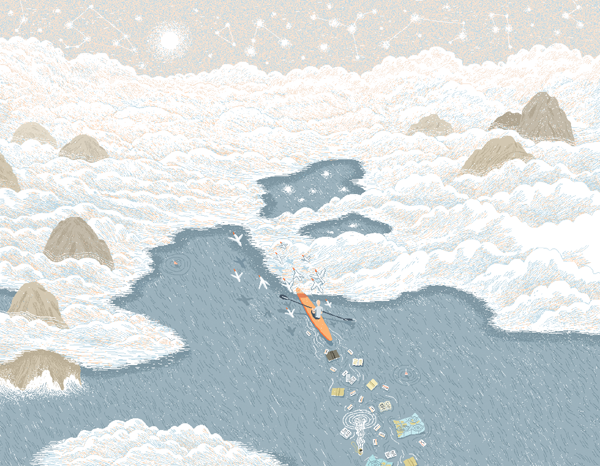 Clicking on an item moves you to a level of greater detail. When an online user accesses more and more pages of the website, he or she may delve deeper into the content of the site. 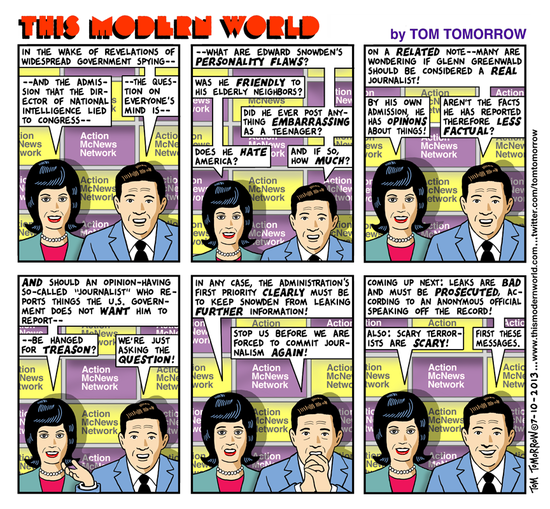 Addendum: The NY Times just posted a piece describing the extent of the NSA's push to eavesdrop the world. Needless to say, quite ambitious and eminently doable give just how powerful and persuasive systems and the net have become in the 21st century. The Obama administration on Wednesday released formerly classified documents outlining a once-secret program of the National Security Agency that is collecting records of all domestic phone calls in the United States, as a newly leaked N.S.A. document surfaced showing how the agency spies on Web browsing and other Internet activity abroad. Together, the new round of disclosures shed even more light on the scope of the United States government’s secret surveillance programs, which have been dragged into public view and debate by leaks from the former N.S.A. contractor Edward J. Snowden. Surveillance 24/7- Phase II, is set to go live if the article titled Feds Tell Web Firms To Turn Over User Account Passwords, courtesy Information Clearing House, is correct. July 26, 2013 "Information Clearing House - "CNet" - The U.S. government has demanded that major Internet companies divulge users' stored passwords, according to two industry sources familiar with these orders, which represent an escalation in surveillance techniques that has not previously been disclosed. 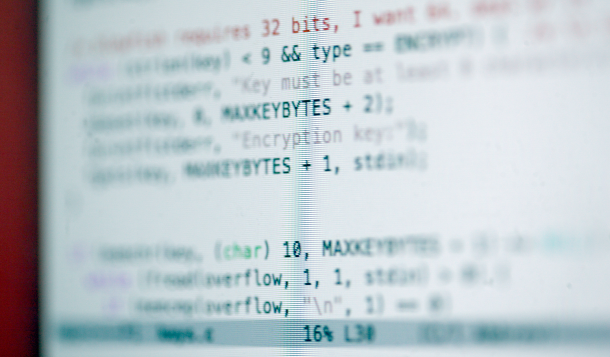 Some details remain unclear, including when the requests began and whether the government demands are always targeted at individuals or seek entire password database dumps. The Patriot Act has been used to demand entire database dumps of phone call logs, and critics have suggested its use is broader. "The authority of the government is essentially limitless" under that law, Sen. Ron Wyden, an Oregon Democrat who serves on the Senate Intelligence committee, said at a Washington event this week. It's a sad day. 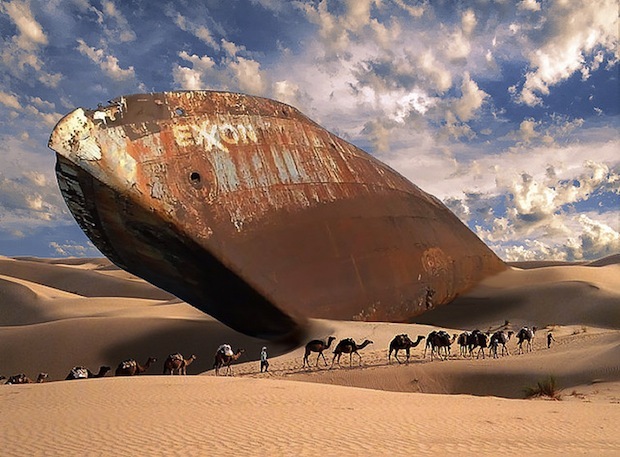 The Oil Drum is going away, a site yours truly admired and used as a valuable resource when talking about peak oil and the consequences of what happens when demand for fossil fuel energy outstrips supply. What made the drum different was the way it presented complex data in ways that could be understood by rubes like me. The world currently produces around 91 million barrels a day (mb/d) of ‘oil’ in the International Energy Agency’s definition, which is for all liquids. 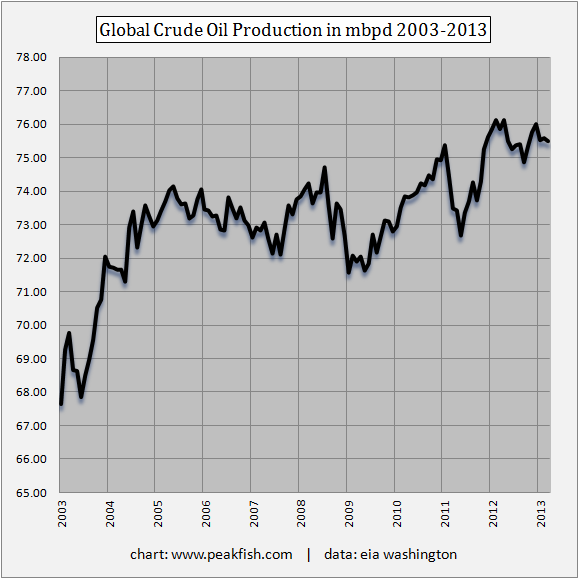 For the past two years, actual crude oil production (which includes lease condensate in the EIA’s definition) has been hovering around 75 mb/d on an annual basis, just slightly over the 74 mb/d plateau established in 2005. As per the wont of BRT, Peak Fish, the supplier of the graphic above, is a new resource BRT will use as Peak Fish "takes hard to locate, difficult to understand public data and displays it in a way that's readable and visually appealing." Make you think doesn't it? When taxpayers lose control of public services, in this case, the fubar known as Chicago's Parking Situation, something done without the knowledge of said tax payers, bad things happen, and then some. Mr. Rowey holds up the example of Chicago’s 36,000 parking meters that were sold in a 75-year lease to an investor group backed by Morgan Stanley as a success. In fact, Chicago taxpayers, investors and mayors across the country will tell you that not only was it an unmitigated disaster, it is also Exhibit A in the folly of blindly giving up taxpayer control of services. An after-the-fact investigation by the city’s inspector general concluded that the decision to enter the lease contract lacked “meaningful public review” and neglected the city’s long-term interests to solve a short-term budget crisis. Specifically, it found that “the city was paid, conservatively, $974 million less for this 75-year lease than the city would have received from 75 years of parking-meter revenue.” That’s nearly $1 billion that could have been used for better police and fire protection, longer library hours and many other services that would benefit the public good rather than private profits. 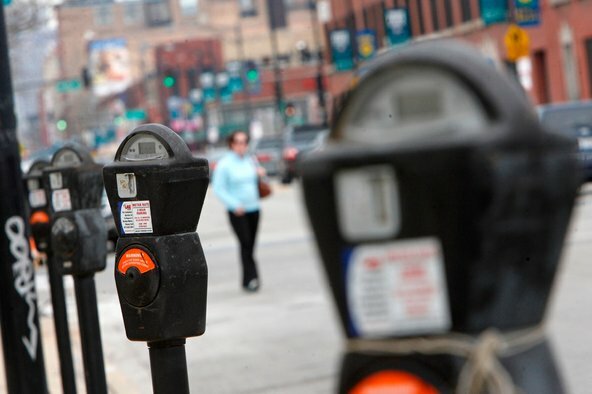 By Dec. 31, 2009, Chicago had only $180 million left from the $1.15 billion parking meter deal, forcing the city to consider alternative sources of revenue rather than relying on long-term reserve funds generated by the parking meter lease. 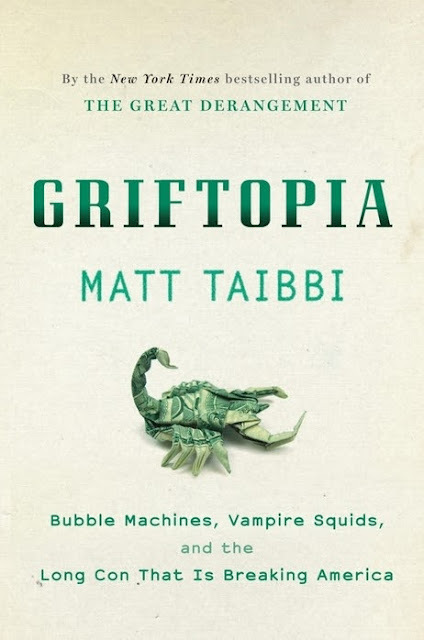 Matt Taibbi, in his incendiary book, 'Griftopia': Bubble Machines, Vampire Squids, and the Long Con That Is Breaking America, expands upon this dubious practice of privatizing public services with details on the various Wall Street deals that bankrupted America, in collusion with government, in ways that boggle the mind. Get the book, you'll learn a lot. I did and I have. MOUNT CLEMENS, Mich. — Hundreds of millions of times a day, thirsty Americans open a can of soda, beer or juice. And every time they do it, they pay a fraction of a penny more because of a shrewd maneuver by Goldman Sachs and other financial players that ultimately costs consumers billions of dollars. 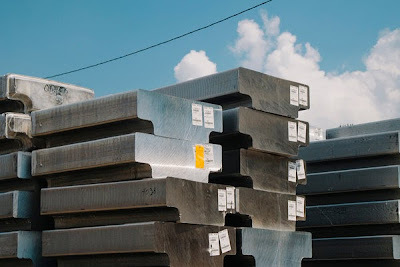 Simply unreal but injecting unnecessary cost into various business operations in order to get a little extra has become the way America does business, just see Government to see how the real pros make it happen. The NYTimes just posted an interesting article tiled, Losing Our Way in the World, an excellent piece on showing how people seemingly lack knowledge on how to integrate discrete nuggets of data into a comprehensive framework as seen by the quote below. SADLY, we often atomize knowledge into pieces that don’t have a home in a larger conceptual framework. 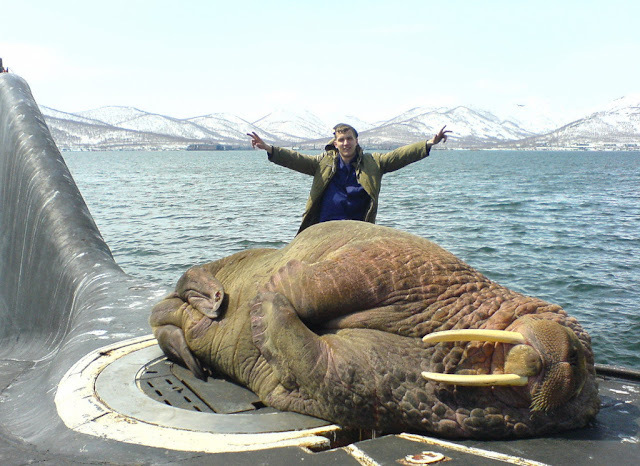 When this happens, we surrender meaning to guardians of knowledge and it loses its personal value. A number of years ago, the documentary “A Private Universe,” about how we misperceive the world around us, was filmed at Harvard’s commencement. Twenty-three faculty members, alumni and graduating seniors were asked, “Why is it warm in the summer and cold in the winter?” All but two answered incorrectly, saying the Earth was closer to the sun in the summer than in the winter (it’s actually closer in January). Arguably, the students were drawing on fragments of what they had learned in class somewhere — didn’t Earth’s orbit form an ellipse around the sun? — instead of what they could perceive themselves, as the seasons changed. 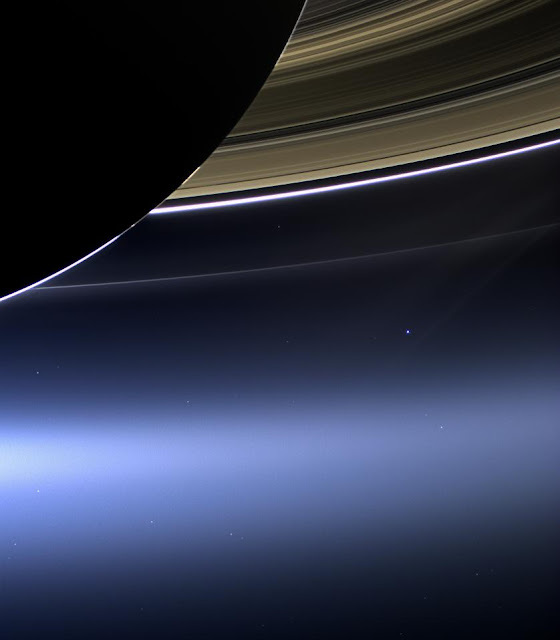 One “correct” answer has to do with the tilt of Earth’s rotational axis with respect to its orbit. But a Neolithic farmer might cast his arm in an arc across the sky and explain that the sun was low in the winter and high in the summer. The farmer’s explanation would be perfectly correct, rooted in experience. Creative people, in this writers's opinion, avoid this subtle trap as synthesizing new ideas necessarily involve integrating the parts into a comprehensive whole dictated by the specific discipline in which the creative act is housed whether it be composing a masterful work like So What or conceptualizing the theory of relativity while riding on a tram, something education should teach the young in this connected age of the web. Common sense or, Thinking like a bug, can give rise to, in this case, a really cool solution to mosquitoes, particularly with a summer as wet and as hot as this one has been. Over the Fourth of July holiday, my wife and I joined some friends for a barbecue in their backyard. The guests were lively and the space was lovely — grassy and open but shady and surrounded by lots of shrubs and trees. In other words, it was perfect for mosquitoes — and indeed, closer inspection showed that they were thriving in all that greenery. But our friends had come up with a solution that saved us from having to deal with bug repellents or, worse, bites and itches. 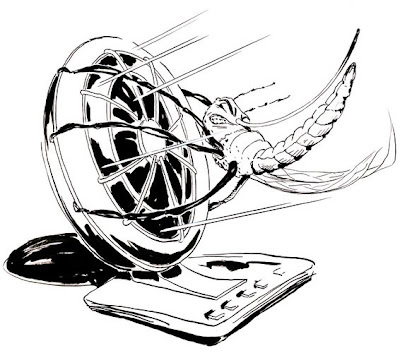 On a low table, they set up a small electric fan, perhaps 12 inches high, that swept back and forth, sending a gentle breeze across the grassy area where people were sitting. That was it. No citronella candles, no bug zappers, no DEET, nothing expensive or high-tech. Yet amazingly, it worked. As far as I could tell, no mosquitoes flew into the vicinity of the simulated wind; nobody was bitten. 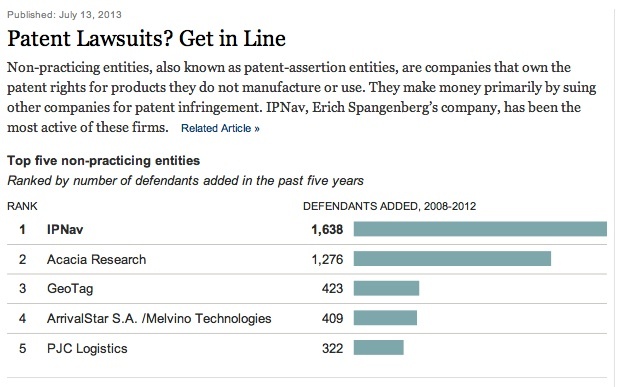 Patent Trolls, you know, the companies who make money by suing rather then innovating, is big time business as articulated by the NYTimes in a post titled Have Patent, Will Sue: An Alert to Corporate America. The problem with this centers on the fact, only the lawyers profit, not tech, and certainly not innovation as seen by the stupid interface lawsuits going back and forth from Apple and Samsung. Yours truly has a patent pending, maybe when it goes live, I can either take the low road and become a patent troll or the high, by innovating. I'll take the 2nd because innovating is a hell of lot more interesting and beneficial then the first option, a course akin to getting something for nothing, something that just seems wrong if you ask me. 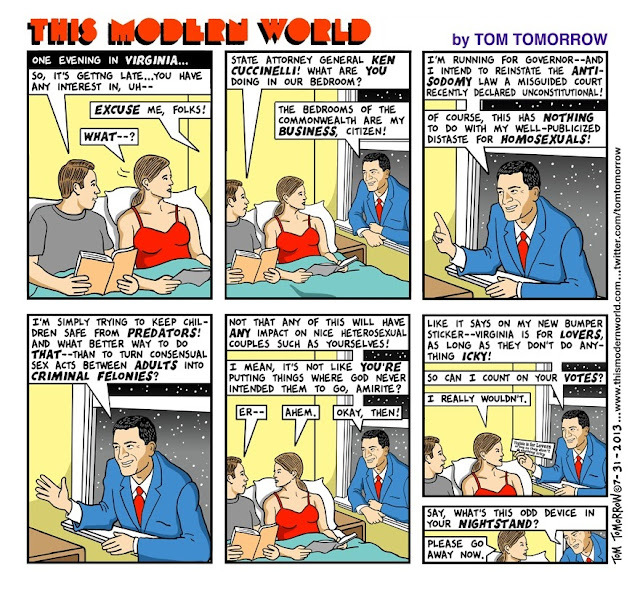 Ah, if only Paddy Chayefsky was alive. Hard to believe but sci-fi interface design has been around for 50+ years, something pretty amazing without question. 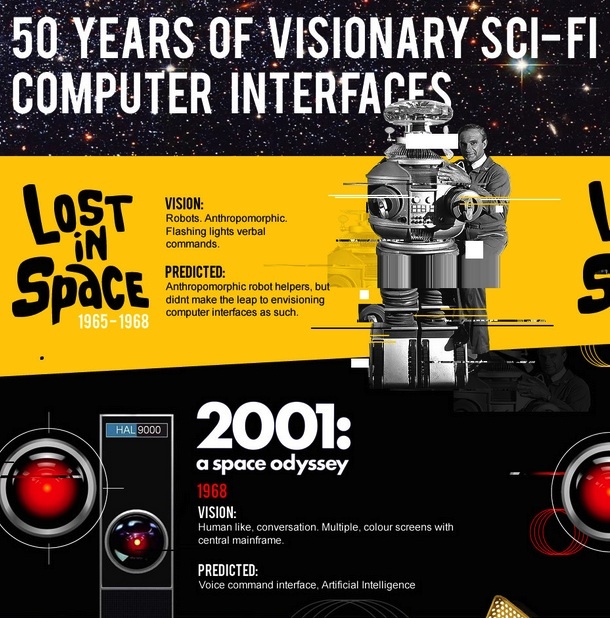 This info graphic from infographicjournal shows just how far tech has evolved regarding the front end side of hardware ranging from the quasi schlock of Lost in Space to the incandescent 2001, the greatest science fiction film of all time. Enjoy. True visionaries are as rare as natural black pearls, occurrences of each being most mysterious but ever present with society never knowing when such an entity possessing these singular qualities will show up. 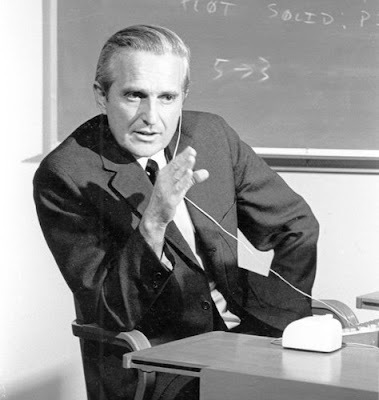 Jobs, Einstein, Davis and Tesla, being members of this exceedingly rare breed, changed society in ways that cannot be quantified, must now include Douglas C. Engelbart, a computer visionary who intuitively knew what computers could become 20+ years before the advent of systems able to be accessed by means extending beyond the ubiquitous punch card based on the mechanics of the 18th century Jacquard loom. 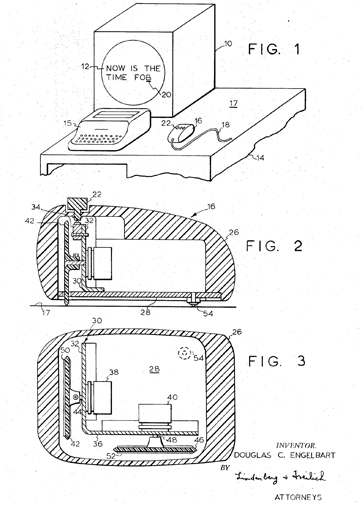 Seen above are Englebart's patent drawings of the mouse and how it connected to a computer complete with keyboard and display. Said patent was approved on November 17th from a paper he gave to the patent office on June 21, 1967. Click here to see the patent. older woman, that she should bring her own grocery bags because plastic bags weren't good for the environment. thing' back in my earlier days." She was right -- our generation didn't have the 'green thing' in its day. Back then, we returned milk bottles, soda bottles and beer bottles to the store. The store sent them back to the plant to be washed and sterilized and refilled, so it could use the same bottles over and over. 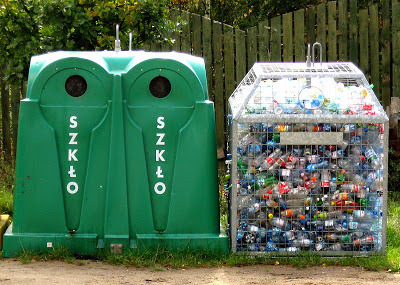 So they really were recycled. But we didn't have the "green thing" back in our day. Grocery stores bagged our groceries in brown paper bags, that we reused for numerous things, most memorable besides household garbage bags, was the use of brown paper bags as book covers for our schoolbooks. This was to ensure that public property, (the books provided for our use by the school) was not defaced by our scribbling's. Then we were able to personalize our books on the brown paper bags. But too bad we didn't do the "green thing" back then. We walked up stairs, because we didn't have an escalator in every store and office building. We walked to the grocery store and didn't climb into a 300-horsepower machine every time we had to go two blocks. But she was right. We didn't have the "green thing" in our day. cup or a plastic bottle every time we had a drink of water. Back then, people took the streetcar or a bus and kids rode their bikes to school or walked instead of turning their moms into a 24-hour taxi service in the family's $45,000 SUV or van, which cost what a whole house did before the "green thing." And we didn't need a computerized gadget to receive a signal beamed from satellites 23,000 miles out in space in order to find the nearest burger joint.